Beaches, deep mountain gorges and vestiges of great civilizations. Like a gift from the gods, Crete is a cyclist's paradise. Pedal quiet roads on the outskirts of bustling port towns. Bike to the top of every climb. Or savor tranquil moments at seaside cafés. 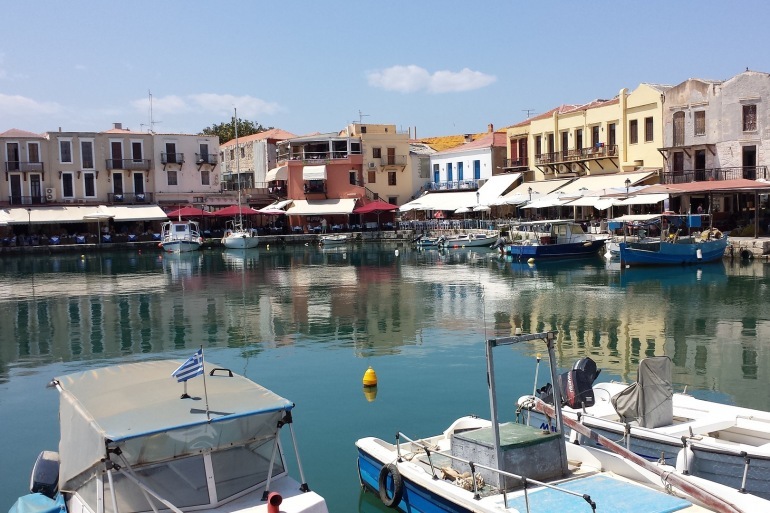 And soak up Crete's legendary hospitality as you explore the island from coast to coast. Shaped by Venetian and Ottoman cultures and one of the most charming and best preserved on Crete An easygoing ride past olive groves and vineyards takes you through forested hills down to the Aegean Dip your toes in the sea or continue on two wheels, climbing to traditional hamlets. Between the island's two impressive mountain ranges Before entering the Kourtaliotiko Gorge, listen for the sound of kourtala (claps) as wind zips through high caves A dip in the Mediterranean might be the perfect finale to your ride Discover the inviting square, spring-fed waterfalls and ancient ruins of Argiroupolis. While overlooking the colorful Venetian port in Chania, whose history dates back to the Neolithic Age Take the high road above the coast for dazzling views of the Kiliaris Valley and Souda Bay Sample organic olive oils at a family-owned farm before biking to the shoreline. Are the order of the day Pedal on rolling terrain through groves of citrus and olive trees en route to the village of Meskla Ready for a challenge? Ascend 2,500 feet for breathtaking views of Chania and the sea below After this epic climb, enjoy a long wonderful descent to the coast amid a montage of remarkable scenery Sample local wines at an up-and-coming winery Ride the rocky Akrotiri Peninsula along the seaside and through a small town whose beach was featured in Zorba the Greek.